We are proud of what we accomplish and of the fact that our designs find their way out all over the world. Through our skilled employees, great craftsmanship and taking pride in our legacy we make sure that we will always be modern, our design always essential. Lammhults heritage dates all the way back to 1945. We are proud of being committed to investing in local manufacturing. Set your creativity free and design your own Campus chair. Lammhults is located in the heart of the area called Kingdom of Furniture, in the outskirts of the small village of Lammhult, southern Sweden. 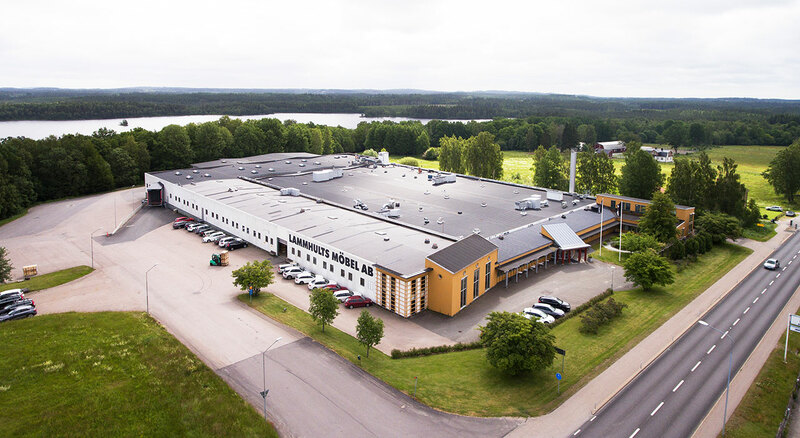 Set in a typical Swedish landscape between lakes and pine woods and next-door neighbors with a horse farm our facilities house our factory, offices and a large showroom.